Linda and Elle. 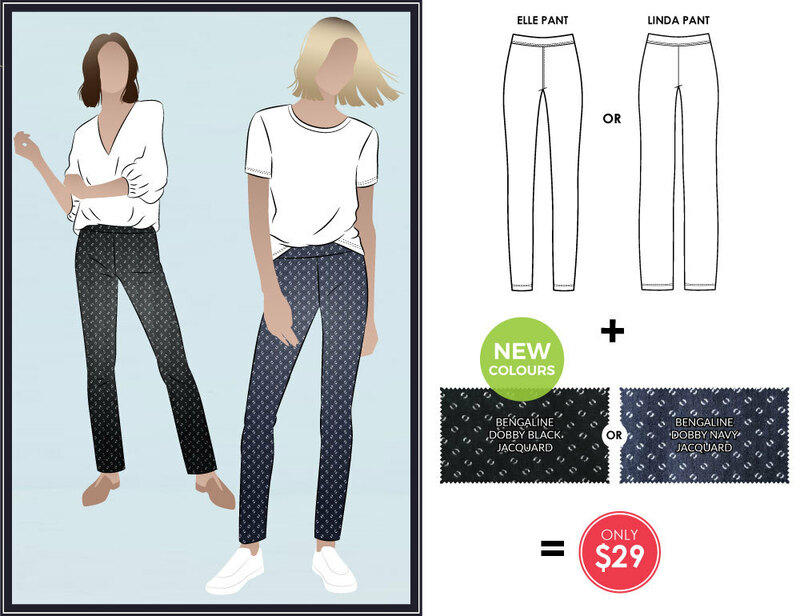 You get the pattern and all the fabric you need to make a fabulous new pull-on pant in a single discounted bundle. Check out the bundles in our store now! Not after a bundle? No problems – we have limited quantities of our new dobby jacquard bengaline in black or navy available for sale! Elle Pant – slim-leg pull on pant (left). Linda Pant – straight leg pull-on pant (right). When the outtakes are better than the serious shots!